The Vanguard Award is the most prestigious prize that MTV's Video Music Awards has to offer. Officially called "The Michael Jackson Video Vanguard Award," after the late, great, pioneer of the art of music videos, the award functions as a celebration of lifetime achievement. 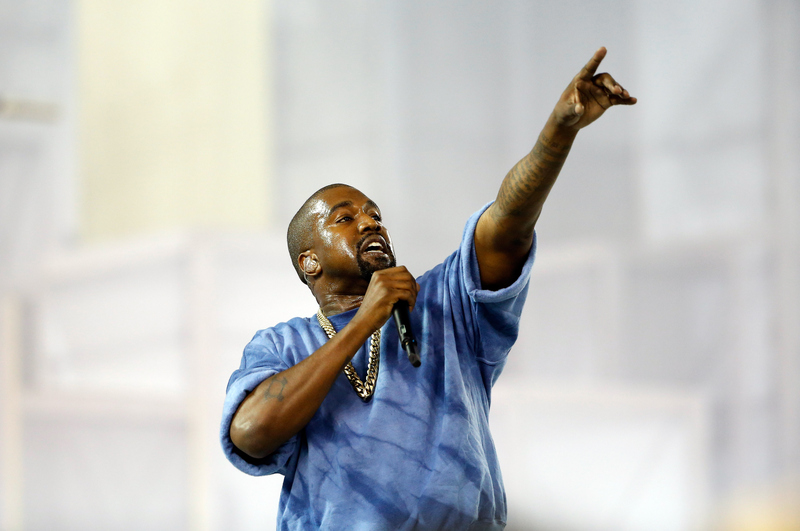 And 2015's Vanguard Award winner is Kanye West, Yeezus himself. Kanye joins a long line of music pioneers who have been honored with this title. The award was first given out in 1984, at the first ever VMAs. The Moon Man Statuette was presented to David Bowie and The Beatles, who along with their directer Richard Lester, were praised for "essentially inventing the music video." The award was not given out between 2003 and 2011, but it returned in 2011 to honor Britney Spear's contributions to MTV culture. Last year, in what is perhaps the most iconic moment of the ceremony, Jay-Z and Blue Ivy Carter presented the award to Beyoncé, which made Kanye happy, seeing as she "has one of the best videos of all time. All time!" But I'm sure that he will be even happier with the award this year. Kanye will finally be honored for his accumulated accomplishments in the industry, as he is truly one of the most influential and creative rappers and producers of the past decade. He will no doubt give an incredible speech, and perform an epic medley of his greatest hits. His influence on hip-hop, and pop culture as a whole, is undeniable. He built on the efforts of rappers in the '90s and helped make rap mainstream without compromising its integrity. He set the standard that other rappers like Drake build towards, and produces for other artists including Jay-Z, Big Sean, and Tyga. Here's hoping that Kim Kardashian and North present the award to him, much like Jay-Z and Blue Ivy did last year. His power resonates with both fans and critics. He topped Time Magazine's list of the 100 Most Influential People in the World for this year, with Tesla CEO Elon Musk writing in his essay on Kanye, "The dude doesn’t believe in false modesty, and he shouldn’t. Kanye’s belief in himself and his incredible tenacity — he performed his first single with his jaw wired shut — got him to where he is today. And he fought for his place in the cultural pantheon with a purpose." Rolling Stone called 808s and Heartbreak on of the most groundbreaking albums of all time, particularly for its "cavernous sound and exposed-soul lyrics." He's not only an intelligent producer and lyricist, but a consummate performer. His music videos create memorable worlds, like the iconic imagery of "Bound 2" and "All of the Lights." His live performances are powerful and his energy is palpable. He is the first to tell you just how brilliant he is, and you can't help but agree. Here's the official announcement video from MTV. It all goes down this Sunday at 9.